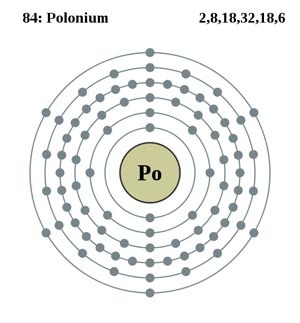 Polonium (Po) is a soft, gray, radioactive, metallic element of group VIA of the periodic table, discovered in 1898 by Marie Curie. It is found in trace amounts in uranium ores and may also be synthesized by neutron bombardment of bismuth. The commonest isotope, 210Po, emits alpha particles (half-life 138.4 days), and is used in neutron sources; the most stable isotope is 209Po.